Only for the recipe and instructions for the chocolate tart pie was followed. The cherry-vodka sauce was ignored. 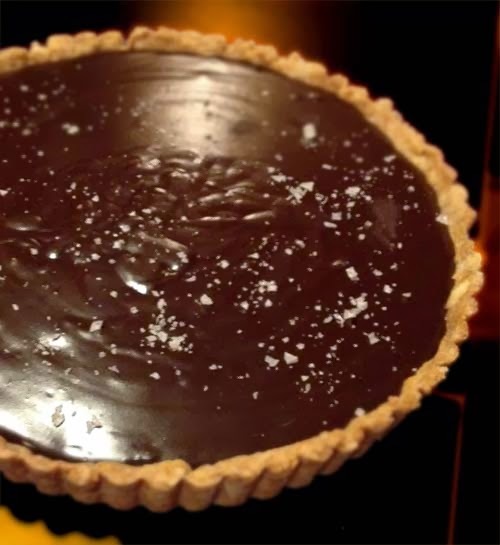 For a fruitier version of a dark chocolate tart, see here.